Could you please identify this mineral? 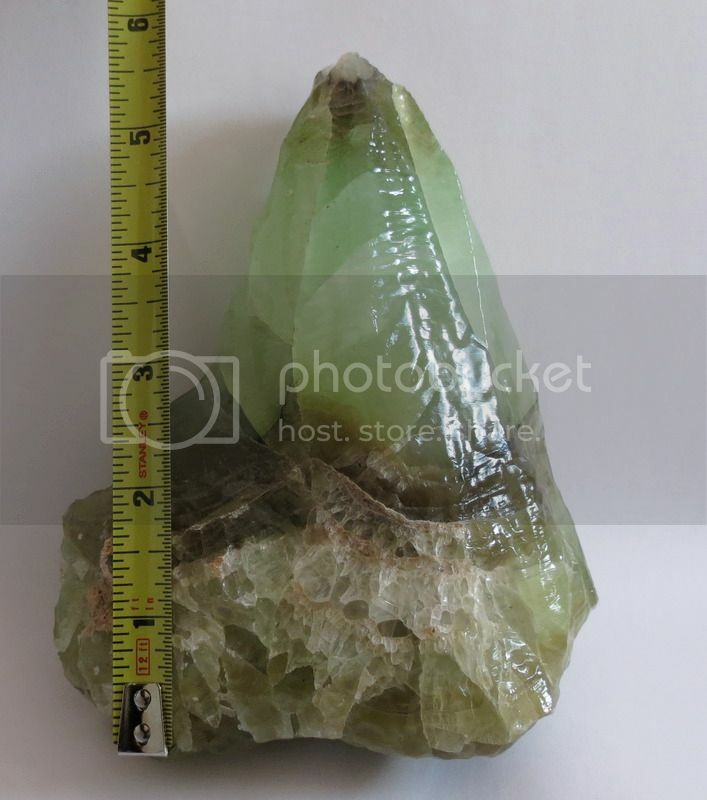 I've attached three photos of a mineral I bought at a tag sale today just because it was pretty and unusual. I have no experience in this area. A brief internet search made me think it might be Olivine. It also led me to your website. Thanks for any assistance you can provide! 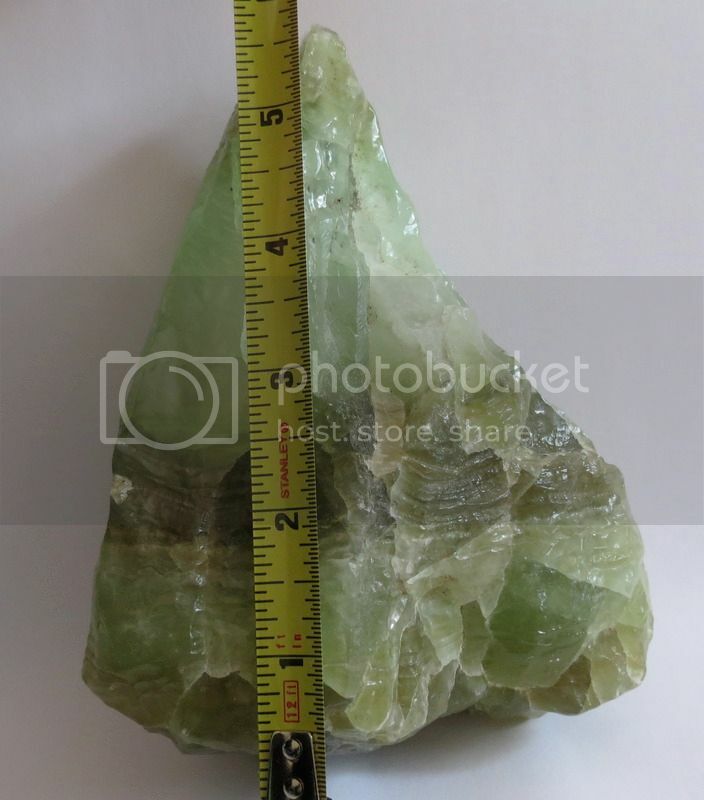 I have seen fluorite looking like that, so fluorite would be a likely candidate. It's not the right color for olivine, and olivine doesn't have banding like your picture indicates. The luster on your specimen does not look natural - it looks like it was oiled or lacquered. Just a thought, could it be calcite? I have a multicolored specimen and the green looks similar. 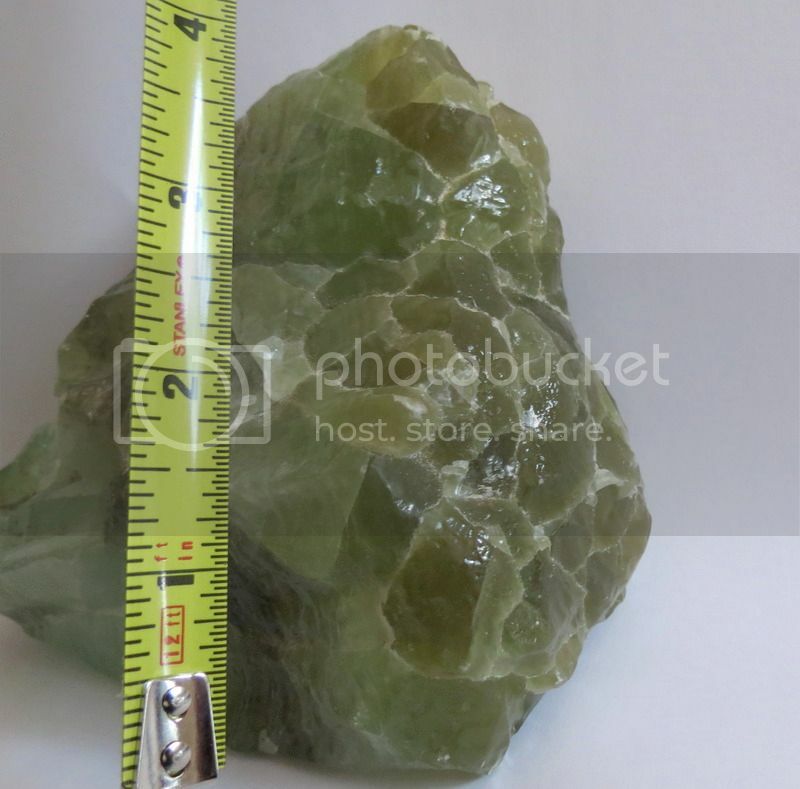 Yes, it can definitely also be calcite. That's a good possibility. A hardness test can be done to distinguish between calcite and fluorite. Another test can be to see if it effervesces in acid - calcite will effervesce and fluorite will not. Could anyone please help me identify this stone?